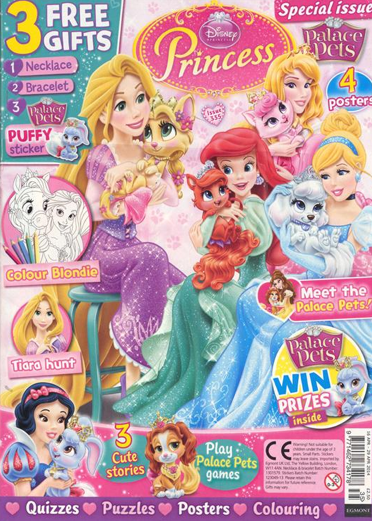 Disney Princess Magazine Only $13.99 A Year (Reg. $39.60)! You are here: Home / Great Deals / Disney Princess Magazine Only $13.99 A Year (Reg. $39.60)! Need an awesome gift idea for your little princess? Well, this deal is back again! You can currently snag Disney Princess Magazine for only $13.99 A Year (Reg. $39.60)! Use coupon code 2933 at checkout through 11:59pm EST 9/29/14. Each issue is filled with magical stories, fun projects, games, activities, and more. This magazine subscription is narrated by Disney’s leading ladies like Ariel, Belle, Cinderella, and Snow White and every issue features a pull out poster your child can hang on her wall.